From being a performing guitar player to running music venues to managing rock bands in New Zealand and Australia, music has always been essential to Paul’s life. His diagnosis of early onset dementia has resulted in him struggling to speak and unable to live independently, but the music has remained, thanks to his daughter arranging for weekly music therapy sessions at RMTC with Clinical Team Leader Russell Scoones. Paul’s ability to speak and sing are quickly diminishing, but his sense of rhythm is all there, as is his natural way of strumming a guitar or banjo. A harmonica to his lips weaves the blues through the music he creates with Russell, and his fingers fly over the skins on the congas with quick, urgent dexterity as they find rhythms to share. The music is alive and active, responsive and supportive. The diagnosis of PPA and Dementia for dad, at age 68, was and is, heart-breaking. However, one of the great privileges afforded to both dad and us as a family, has been to watch dad, a passionate musician, continue to engage with music in a meaningful way, through his sessions with Russell at the Raukatauri Music Therapy Centre. Although dad’s decline has been rapid, he still really enjoys his time with Russell each week and we can see that dad is able to appreciate the music they play together and he’s very ‘present’ during these sessions. It feels like a blessing to have discovered Raukatauri. With his past behind him and his future unsure, music makes RMTC a place where Paul can be truly present. This is never more so than when his old bandmates turn up to join him for a sessions. The guitars and drums come out and as the friends and Russell play together, they support not only Paul, but also each other. Here is the strength of music therapy, a place where we can be focused and listened to, gentle, but powerful when needed. Riding on waves of rhythm and melody that carry us along for a while, unsure where it is going or how it may end, but ok with that. As with all of our work at RMTC, when working with those with dementia we see the music as a connecting place between the individual’s strengths and his or her family’s hopes and dreams. 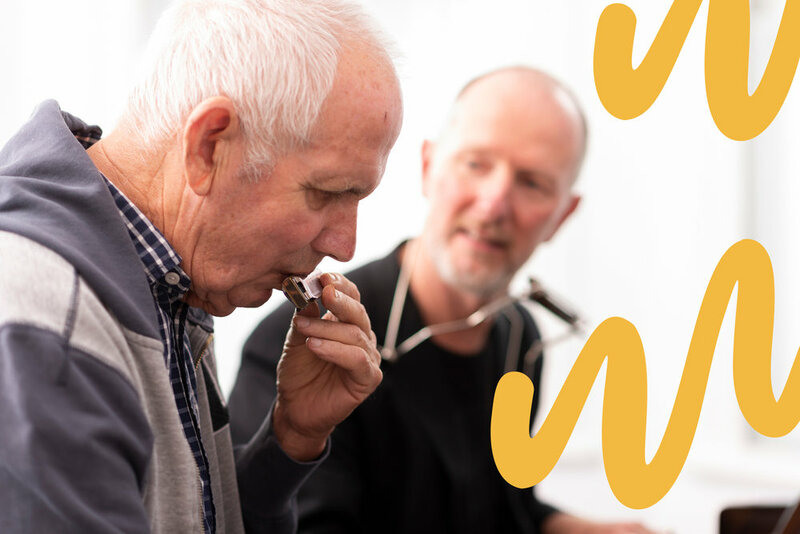 For individuals with dementia, these musical family connections can span the generations, as with Paul’s whānau and friends, who have all been able to see him come alive in music therapy.